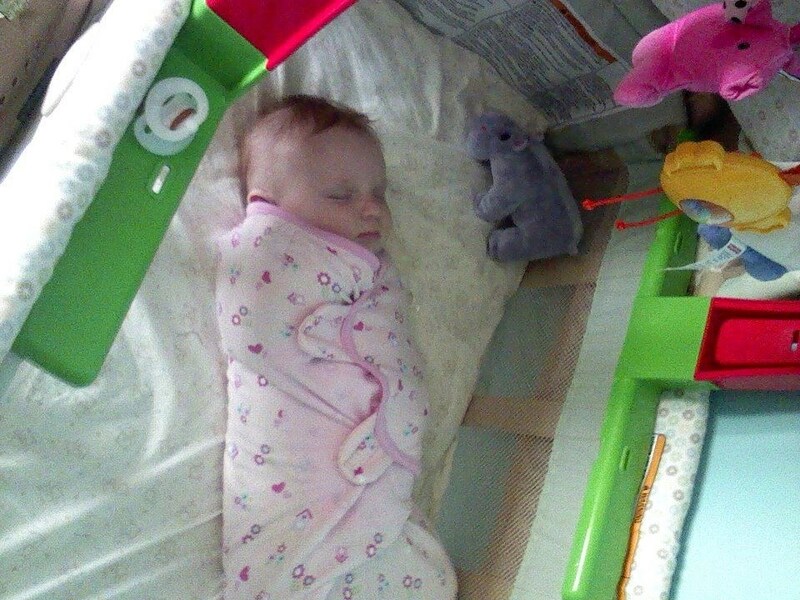 Now I wanted to share this picture of my first child in a SwaddleMe Pod. Being a first-time mom at the time I didn’t know you weren’t supposed to have toys or big blankets in the crib with the baby. Becoming a parent is a learning experience and with each child, you gain more knowledge, that’s why I wanted to share this awesome product with you all. September is baby safety awareness month. As parents, we try and do everything possible to protect our little bundles of joy. With that being said, Halo© introduces the Halo© Safer Way to Sleep© Wearable Blanket Program: This program was started about eight years ago, to teach expectant and new parents the safest sleep method for newborns. The program hopes to replace traditional blankets in the nursery and in hospital NICUs with a free supply of blankets that swaddle to show parents a safe blanket-free way for babies to sleep. The program has now reached into around 1500 hospitals. Founder Bill Schmid wants to ensure safe sleep practices are being implemented by educating parents. He knows all too well the pain and sorrow of losing a child to SIDS. 3500 infants die each year from SIDS or SUID, parental education is the key to preventing death by placing infants in the correct sleeping environment. The AAP recommends that infants sleep in the supine position (on the back) on a firm mattress. I was lucky enough to receive one of these beautiful blankets to use for my upcoming baby, who is due in November. This will be baby number four for us. I love the cute print and the softness of the Halo© SleepSack Swaddle. Care of the sack is super easy, just wash with like colors. 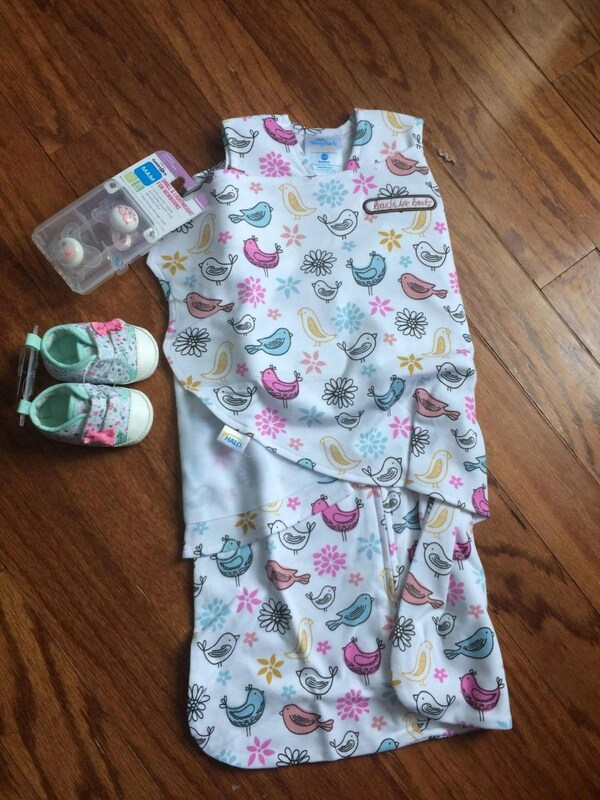 Dress baby in normal sleepwear and insert baby into the sack. Zip it up and adjust your baby’s arms. There are three different ways to use/wear the SleepSack Swaddle. Arms In: This helps keep baby calm, and reduces the startle reflex. This is always the way all of my previous children have preferred to be swaddled. Hands to Face: This helps with giving the baby a chance to self-soothe a bit. Arms out: let one or both arms be free for easy transitioning as your baby grows. SleepSack Swaddle comes in three different sizes, Preemie (Birth-5lbs ), Newborn ( 6lbs-12lbs), and Small ( 13lbs-16lbs). You can also transition as your baby grows from the SleepSack Wearable Blanket to the SleepSack for Big Kids. Did you know that the SleepSacks keep your baby’s hips in the correct position to help prevent hip-dysplasia? That’s right, It keeps them from being constricted and gives them the freedom to move, allowing for healthy hip development. This is a great product to make sure your baby is safe and warm. Correct sleep positioning is essential to making sure your baby is protected at all costs. Halo© is committed to making sure this happens. Interested in grabbing one for your nursery? You can find Halo at Walmart and Target. Connect with Halo on their website and Website and Facebook. I had to swaddle my daughter when she was a baby. This looks like a great product. That’s great they allow healthy hip development! Wish I could afford one for my baby! I love that these keep baby safe AND warm. Cute designs! I have heard good things about these Halo swaddles. My youngest daughter is due in April and we will have some. Thanks! I love this! I have 3 kids and all 3 would fight sleep unless swaddled tight so this would definitely be a great gift idea for anyone having babies! I swaddled my babies with blankets and they definitely preferred it to not being swaddled. The Halo Sleepsack looks like it would be much easier than trying to get a blanket just right. It was so weird for me to put my youngest child on his back to sleep, there were 15 years between my children and with my first we were told never let your baby sleep on their back. It is amazing and wonderful to me that the sids numbers made such a drastic drop with the back to sleep program.